The Dairy industry has more downs than ups. Even though the industry has seen many technological shifts in the recent past, but there still remains many problems to be properly taken care of. One of such problems is the complex process of milk collection from village level and sending them to chilling facilities. The whole cycle is very vast and complex to manage and monitor and also a mammoth task that needs to be seen through an eagle eye. Why? Because there is a lot of human involvement in the whole process in India and it’s rural parts which is bound to create discrepancy and irregularities. We at Prompt Softech learned the in and out of the whole cycle. And it took extreme level of hard work and thorough dedication to get to a point where we can come up with a solution which can provide a solid solution in the whole process and makes this kind of mammoth task a subtle process. We call it SANKALAN (Compailation). With our product we have made possible the live monitoring of complete process of milk collection even from remotest location. 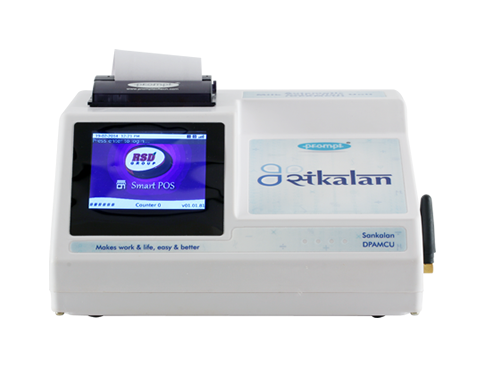 Sankalan has the functionality to reflect real time data of milk collected at village and society level. Data or parameters collected at milk collection centre can be shared and compared with data collected at chilling centres to detect any traces of adulteration or change in volume might have taken place en route. With Sankalan, centralized messages can be delivered to different farmers, milk collection centres, etc. Various Analytical reports can be generated from our system and enables to track the performance of all collection centres and strategically control the centres. We have integrated Sankalan to various ERPs to generate detailed MIS reports, graphs and charts that helps to manage and control milk procurement efficiently. To know more about SANKALAN get in touch with us.